Photos taken by Robin Sunderland, not to be reproduced without permission. 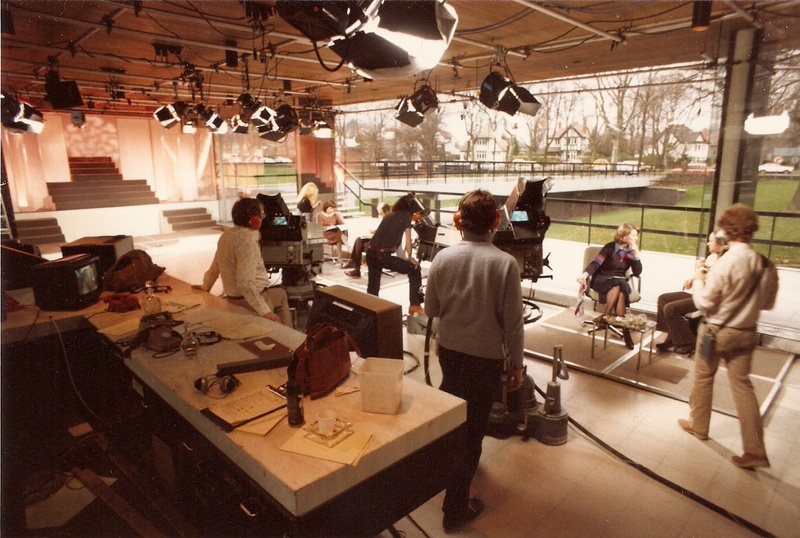 Cameraman Robin Sunderland took these photos of a Pebble Mill at One rehearsal shortly after completing his camera training in the 1980s. They feature presenters Marion Foster and Donny Mcleod, and a young looking Nick Patten (now Head of BBC Birmingham and Manchester Factual Programmes – Vision Productions) is floor managing. The cameramen are: Brian Cave, Jim Gray and Dave Lawson with Alan Duxbury doing ‘Captions’ up on camera 5. Please add a comment if you recognise other people in the photographs – thanks!